The Pride gas station located at 1910 St. Stephens Road is being boarded up after a Temporary Restraining Order was issued. Following an 11-month investigation on the illegal sale of cigarettes, six arrests were made and a Temporary Restraining Order to shut down one business was issued. 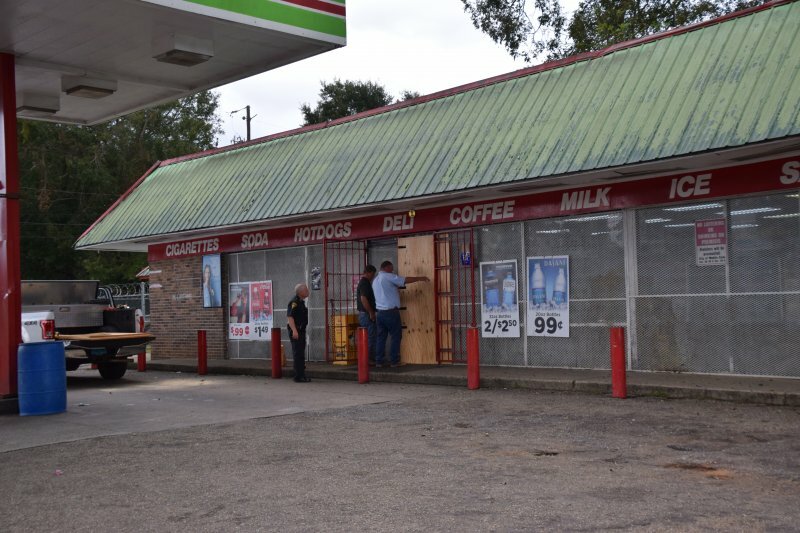 The Mobile ATF Field Office opened the investigation to assist the Mobile Police Department combat an increase in commercial store burglaries in which large quantities of cigarettes were taken. Several stores, namely Dollar General, had been broken into where numerous cartons of cigarettes were stolen. Through the undercover operations, police identified five convenience stores that were buying the stolen cigarettes and reselling them to the general public. They include Quick Stop (375 Cody Road North), Spring Hill Quick Stop (2800 Spring Hill Avenue), Pride (1910 St. Stephens Road), Mitchell Brothers (1300 Arlington Street), and Two Lions (763 Summerville Street). The six individuals that were arrested today, Nov. 6, are the employees and /or business owners associated with the above locations. They include 42-year-old, Shadid Abbasi, 39-year-old Shameka Mallory, 50-year-old Khali Al-Mashni, 45-year-old Thy Touch, 43-year-old Reginald Lyons, and 33-year-old Sakhoeth Khan. Police arrested the suspects on indictments out of the Southern District of Alabama Court for Knowingly Receive, Possess, Sell, Distribute, and Purchase Contraband Cigarettes. “We hope that these arrests will bring some end to the number of businesses we’ve had broken into for the purpose of stealing cigarettes and reselling them to mom-and-pop operations,” said Chief of Police Lawrence Battiste. Officers executed the Temporary Restraining Order at the Pride gas station, 1910 St. Stephens Road, due to numerous complaints of criminal and drug activity. Nearly 100 Part I Crimes such as robberies, assaults, burglaries and drug-related offenses had occurred in the geographical area of the store. And, drug arrests were continuously made in the gas station’s parking lot. The Pride gas station property owner, Billy Bui Hill, was served a notice letter on December 26, 2017 advising of the drug nuisance, but he provided no response.